The University of East Anglia is located in Norwich, which is a city with a population of 230,000 situated in Norfolk on the east coast of England. From Norwich the coastal town of Great Yarmouth is 28 miles or 35 minutes by car. The average lowest temperature in East Anglia is in January/February, 1 degree and in summer the average high temperature is between 19-22.5 degrees. The nearest major airport is Norwich International which offers direct flights to Amsterdam, Paris and Edinburgh and connections to 200 cities worldwide via Schipol Airport. The campus is situated 10-15 minutes by taxi from Norwich Airport. From London Gatwick or Heathrow airports a National Express coach service or train to Norwich station is the cheapest option. 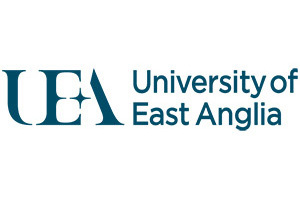 UEA is 2.5 hours by car or coach from Heathrow airport. UEA was founded in 1963 and was purpose built as a campus university. Its academic approach is interdisciplinary which means that different modules of a course may be taught by different departments or schools. Although not renowned for particular disciplines UEA has built a reputation for strength in medicine (particularly nursing and midwifery), the environmental sciences, health and plant sciences. UAE is a campus university and the accommodation is mainly based on campus. The university is 2 miles from Norwich city centre. Teaching for all courses is carried out on campus. UEA is currently ranked =190th in the Times Higher Education rankings. UEA is ranked between 201-300 in the Shanghai Jaio Tong rankings. UEA is not a member of the Russell Group of universities. UEA is ranked =36th in the National Student Survey Satisfaction rankings. There are currently around 3500 international students studying at UEA, representing approximately 24% of total students. Pathway entry for international students-INTO’s Study Centre at UEA, offers foundation courses leading to degree course entry. 2014 figures indicate a total of 14,603 students of which 10,647 are undergraduates and 3,956 are post-graduates. HESA government statistics show that 92.4% of UEA’s graduates are in employment or in further education 6 months after graduation. However, a breakdown of post-graduation employment by course, showing the split into professional/managerial positions, rather than general employment figures, is available from Unistats an independent source of university data. For more information, please visit the REF Information page. UEA Student Union offers 150 different student societies and 60 sports clubs. Sports facilities are provided by the university owned Sportspark – East Anglia’s largest sports facility with an Olympic sized swimming pool and Olympic gymnastic facility, an athletics track, indoor arena, dance studios, fitness centre and climbing wall. The Sainsbury Centre at UEA is a major British art gallery and national centre for the study and presentation of art. 92% of accommodation at UEA is university owned and most is based on campus. All is self catered. A wide variety of options are available. Accommodation contracts, known as Licences, are for a 38 week period from the beginning of the academic year. The lowest price for a single room with shared bathroom and kitchen facilities is £81.20 per week. Fees for full time undergraduate courses start at £15,600 for most Arts, Humanities, Social science subjects & Maths, rising to £19,800 for Engineering and Science based subjects. UEA offers a range of MOOCs (Massive Open Online Courses) made up of short topical modules based on a variety of subjects from medicine management to teaching computing, preparing for university and study skills for international students.